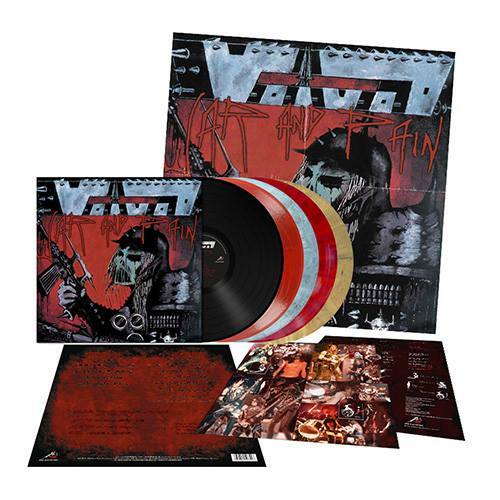 Home » News » A Voivod Classic Receives The Metal Blade Reissue Treatment! Due to high demand it’s high time for a reissue of a VOIVOD classic and their groundbreaking debut, War And Pain, is set to be re-issued by Metal Blade on March 30th on Digi-CD and vinyl! Originally released in 1984, the 2018 version will be released on Digi-CD and vinyl with a vinyl remastering from Patrick W. Engl as a ‘Metal Blade Originals’ LP. Special treatment and 400g heavy cardboard spine sleeves (inside out print), 60x60cm two-sided artwork posters and 250g inserts guaranteed! Pre-order your copies now from EMP or Metal Blade’s eBay store.